I want to thank you for the wonderful job you did! Interacting with the live animals was amazing and educational. I especially appreciate how knowledgeable you were about the wide assortment of animals you brought. Although we had a variety of ages watching and interacting in the show, you still managed to be age appropriate and involve every child. You had a way of keeping each child engaged and had a wonderful sense of humor. The children especially enjoyed seeing all the exotic animals, animals we wouldn't normally see, and may never get to see again! Thank you! Who would benefit from an Amazing Animal World program? AMAZING ANIMAL WORLD is the perfect birthday party or in-school field trip because we bring live, exotic animals directly to YOU! We blend entertainment, education and humor to spice up any event. Watch your child light up when he has a frog on his head or she lets a lizard ride on her shoulder. The children will enjoy telling their friends how they got a snake hug at an Amazing Animal World party. Why do the ordinary when you can have something amazing? Call today to book your next special event and prepare to be Amazed! Is that a rock on the path? No, it's a box turtle disguised as a rock! Here is your opportunity to meet animals that use camouflage to hide in plain sight and learn how having this adaptation works to their advantage to not only help them get food, but to keep from being food themselves! Let's put on our imagination caps and travel the globe to meet animals in different countries and places we all dream of going! Here is your opportunity to meet animals from the reptile world. Turtles, lizards and snakes highlight this amazing program where you will learn all about what makes a reptile a reptile. You will find some amazing and interested animals in both Australia and Africa. In this program, you will meet animals from both of these beautiful continents. How does a frog drink water? How do lizards differ from snakes? 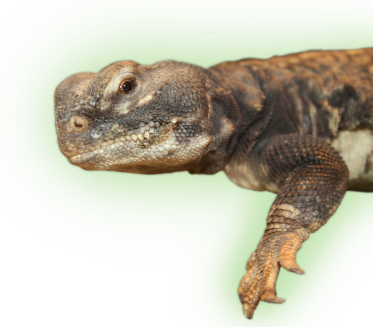 Find out answers to these interesting questions when you choose this reptile/amphibian program. Do you like bugs? Bugs and bug eaters will come to visit when you request this program. Insects are eaten by many creatures in the animal kingdom. Let's meet some of those animals and get up close to the bugs they eat for dinner. The animals entered Noah's Ark two by two. This program is specifically geared for Sunday school programs and families wanting to share the beauty and majesty of God's creation with their children. Why did God make animals the way he did, and how does the way they are made help them to survive? Animals will come in two's for this program.